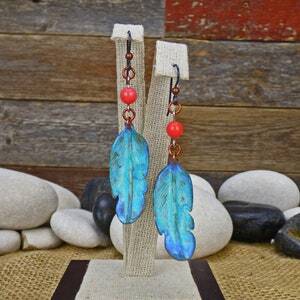 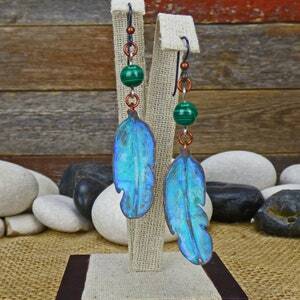 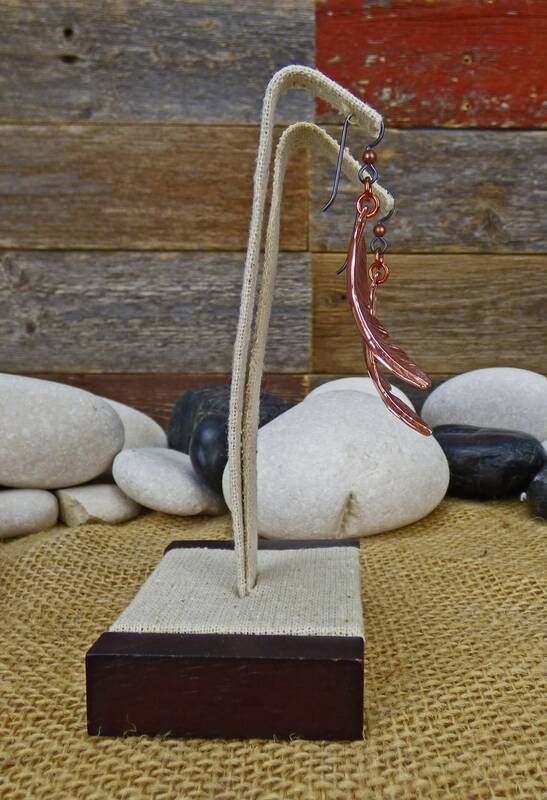 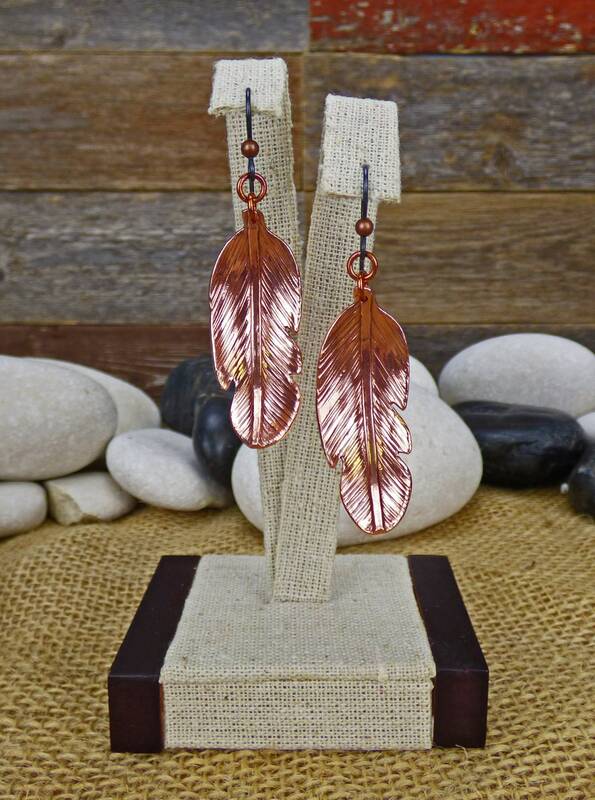 High polished feather copper earrings that will light up with a warm copper glow for years to come! 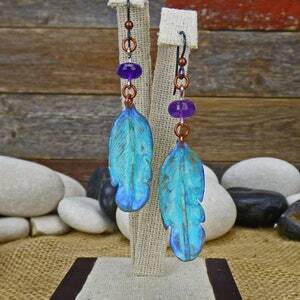 These gorgeous feather drop earrings use the same pattern as my other feather earrings, the difference comes in the others are made using the same technique I use for pendants running a wire down the back, looping it around, and soldering it up front which increases the cost quite a bit. 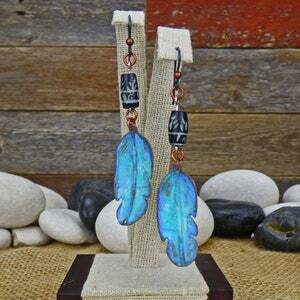 These simply have a hole punched in the top of the feather and a couple of jump rings to align it to the niobium earwire.